Grew Up... with her younger brother Kohaku, training to be a demon slayer. After training throughout their childhood, demon slayers can begin work in the field as young as 11. And with her formidable skills and even more formidable list of kills, Sango is certainly no exception to that tradition. Living... in her father’s village of demon slayers, until the village was hit by a devastating sneak attack. The strike killed everyone else in her village, suddenly leaving Sango “all alone in the world." Profession... demon slayer, and very good at it too. Sango was the best slayer in her village, possibly “the best in the province." With her gigantic boomerang, Hiraikots, and along with the help of the demon cat Kirara, Sango successfully defeats hostile demons with skill and grace. Interests... revenge. With most of the people and things that Sango loved now gone, the only thing she currently wants is to kill the demon who destroyed her village. As she recovers, however, she may find other reasons to keep on living. Relationship Status... single, but check back later. 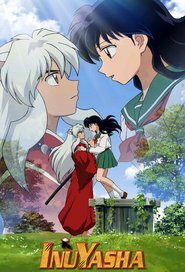 Sango has spent her life training to kill demons, so she's never really had time to think about love. But as she warms up to her new companions, this too could change. Challenge... avenging the deaths of her family and village while dealing with the grief of their loss. Neither task will be easy, but luckily Sango has her new companions to help her through her struggles. Personality... not cold, but very impersonal and independent. Compared to the rest of the group, Sango is far more focused on her goals than making friends. She's certainly not emotionless, but Sango's also certainly not comfortable talking about her grief and survivor's guilt with a bunch of strangers. Sango's popularity ranking on CharacTour is #2172 out of 5,000+ characters. See our top-ranked characters and read their profiles.